Sign up now for the Heart of Healthcare Online Career Fair for Nurses, hosted by ASCA’s Career Center on Tuesday, April 4. Don’t miss out on this one-of-a-kind event for ambulatory surgery professionals where interviews are conducted via instant message or Skype. The fair is free for job-seekers. Register today. An Innovative Patient Financing Solution for ASCsToday’s ASCs have more options than ever to help patients pay for services — but they're only useful if patients take advantage of them. Offering patient-friendly financing can boost patient satisfaction and support your ASC. By adding LendingUSA as a financing option, ASCs are empowered to provide their patients with low monthly payments for out-of-pocket surgery costs.To learn more about LendingUSA Patient Financing, click here! Be sure to check out the growing list of Related Stories in ASCA’s Opioids Resource Center. This page provides ASCs with an abundance of current reputable resources to help in their training and understanding of the ongoing opioid crisis the country is facing. ASCA supports a comprehensive solution to address the abuse and misuse of opioids that is fueling a tragic epidemic across the country. Register for the ASCA 2019 Conference & Expo, May 15–18 in Nashville, TN, for access to more than 50 ASC-specific sessions designed for professionals at all levels, unparalleled networking opportunities, hundreds of product demos in the largest ASC-specific exhibit hall of the year and more. Register today! Need help convincing your supervisor to send you to ASCA 2019? Check out ASCA’s supervisor approval letter template, which you can customize to your own specific situation. Simplifying administrative tasks. Redefining engagement. Let us help change the way you and your staff work with our easy to use collaboration platform. 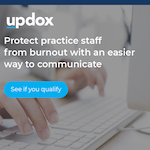 At Updox, we offer a broad set of capabilities to help streamline repetitive tasks, eliminate multiple logins and more, so you can focus on what matters most – helping patients. ASCA is seeking to partner with an information technology (IT) company to administer a web-based Culture of Safety Survey to ASCA members. The selected company will provide a web-based platform for the Ambulatory Procedure/Surgery Center Survey on Patient Safety; implement the survey; produce benchmarking reports for participating ASCs as well as a comparison among like ASCs; and provide training to ASCA and ongoing support to ASCA and ASCs for using the web-based platform. 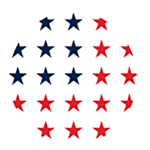 If you are interested in working with ASCA on this project, please provide the information requested in ASCA’s RFP by 11:59 pm ET this Friday, March 15. Communicating with patients can be challenging. Traditional methods can be expensive and time consuming and are becoming less effective every day. Read this ASC Focus article to learn how the mobile phone has changed the way the world shops, socializes and, most importantly, communicates. Read more. Last week, the Hospital and Ambulatory Policy Group of the Centers for Medicare & Medicaid Services (CMS) invited Terry Bohlke, former president of the ASCA Board and vice president of Ambulatory Surgery Centers at Community Health Systems in Franklin, Tennessee, to serve on the Advisory Panel on Hospital Outpatient Payment (HOP). Read on. In honor of Colorectal Cancer Awareness Month, Rep. A. Donald McEachin, joined by Rep. Donald M. Payne, Jr. (D-NJ-10), Rep. Rodney Davis (R-IL-13), and Rep. David B. McKinley, P.E. (R-WV-1), introduced the bipartisan and bicameral Removing Barriers to Colorectal Cancer Screening Act of 2019. This legislation would waive cost-sharing requirements under Medicare for life-saving colorectal cancer screenings, making these critical screenings more affordable for seniors. 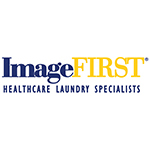 With over 50 years of healthcare expertise, ImageFIRST® is the largest and fastest growing national linen rental and laundry service specializing in the healthcare market. ImageFIRST’s 36 locations nationwide serve over 10,000 medical facilities every week providing linen, patient gowns, scrubs and more while managing their clients’ linen inventory for cost management. With a customer retention rate of over 95%, ImageFIRST is dedicated to improving patient satisfaction through quality products and remarkable service: their Comfort Care® line of gowns are proven to increase patients’ favorable perception of a facility by more than 50%. For more information about ImageFIRST, your cost-effective solution for greater patient satisfaction, please visit www.imagefirst.com. Today, the U.S. Food and Drug Administration issued a Letter to Health Care Providers to alert them that the agency is aware of an increasing number of medical device reports associated with the use of surgical staplers for internal use and implantable surgical staples—common devices used in many surgeries—and to provide updated recommendations to help reduce risks associated with their use. The letter also includes information about additional actions the agency is planning in the coming months to address the devices' safety, including issuing a draft guidance with labeling recommendations for manufacturers and holding a public advisory committee meeting to discuss whether the current pathway for manufacturers to market surgical staplers for internal use is appropriate. An N.C. House committee has given its approval to a bill that would change employment standards for surgical employees at hospitals and ambulatory surgical centers. House Bill 43 is co-sponsored by state Rep. Donny Lambeth, R-Forsyth. Hospital industry lobbying against health care regulatory changes paid off Thursday when the Georgia House voted against major certificate-of-need (CON) legislation by a 94-72 margin. House Bill 198 remained alive temporarily after the chamber approved a motion to reconsider the legislation. By participating in this year’s ASCA 2019 Conference & Expo Sponsor Registration Give-A-Way program, the following individuals have been awarded free registration to this year's meeting.